• Adds additional switches for different accessories. • This listing includes 4 free laser switches. Please use the attached sampler photo to choose your design. Send us a message with your purchase and specify the color (blue, red, green, orange or white) and design for your free switches. 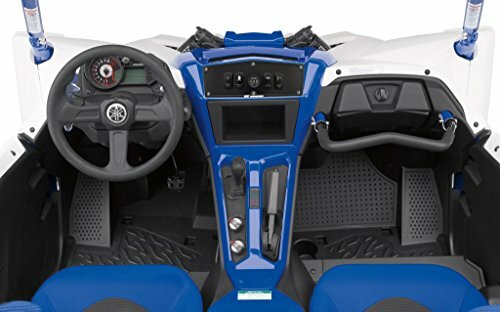 CUSTOM BUILT: The STV Motorsports custom made Yamaha YXZ1000R Dash Panel is a must-have upgrade for any driver of these vehicles. It is a great accessory that adds a custom look and functionality to your vehicle. 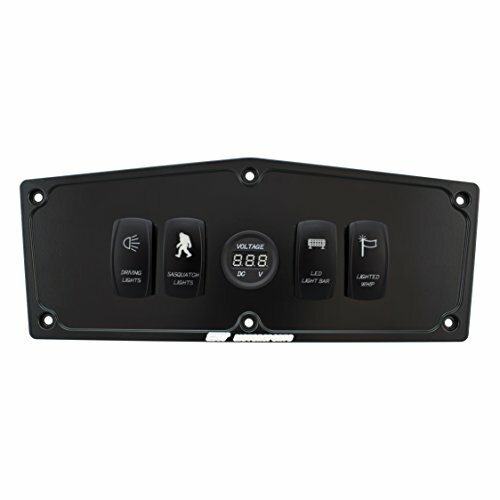 MANY COLORS AVAILABLE: Match the custom look of your Polaris with one of the powder coated black, blue, white or aluminum dash switch plate. 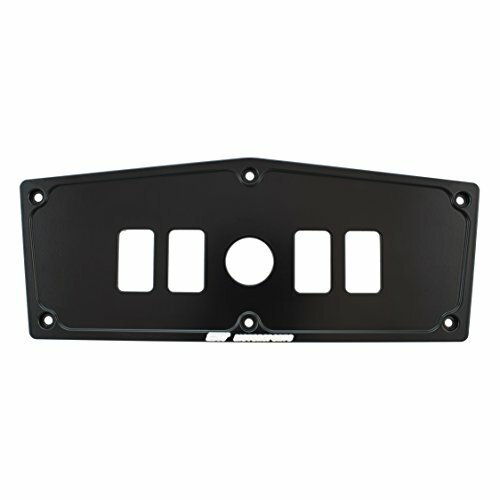 These switch panels are designed to offer additional switches to your factory Yamaha YXZ1000R. 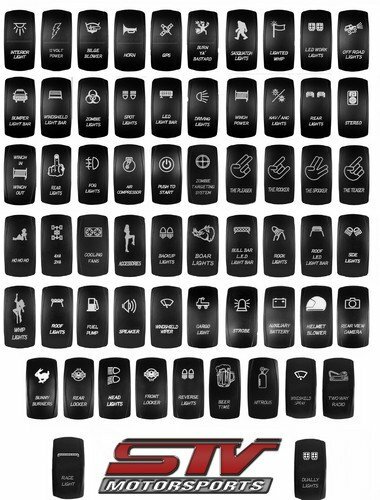 4 FREE LASER SWITCHES INCLUDED: You can choose your design (from attached sampler photo) and color for your laser switches (blue, red, green, orange or white). Please send us a message regarding the design and color of your choice after transaction is complete. If no message is received at the time of payment, we will send the switches showed in the main photo in color blue. EASY INSTALLATION: Installation is extremely easy although you will need to cut your factory dash to install the switches and the dash plate. All the mounting hardware and instructions are included. If you have any questions about this product by STVMotorsports, contact us by completing and submitting the form below. If you are looking for a specif part number, please include it with your message.